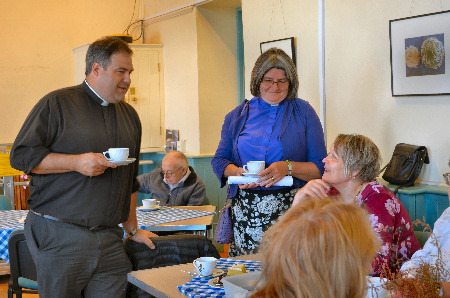 Ruth, Bishop of Taunton popped into the Jubilee Cafe when visiting Winsham on a Deanery visit in May, 2018. She was accompanied by Rev Philip Butcher. Help wanted - this popular event needs more cakes. 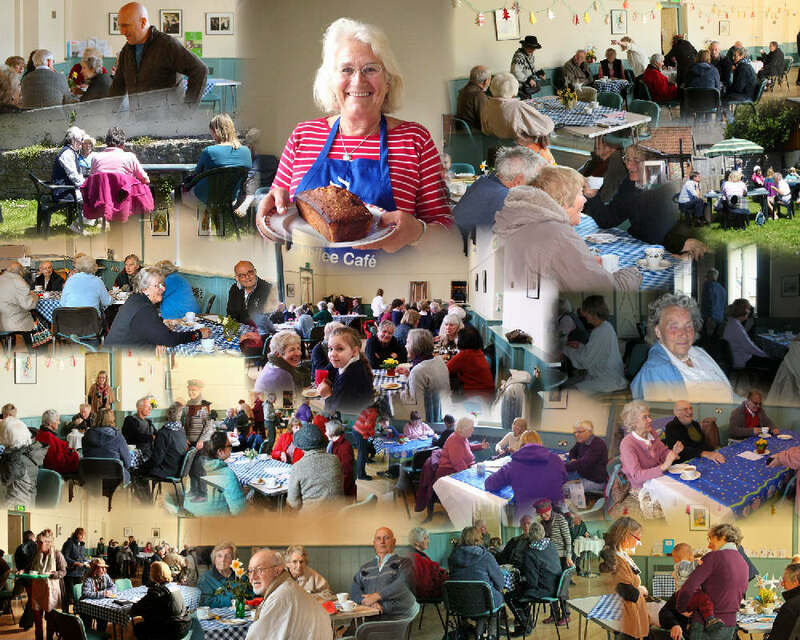 Village organisations are welcome to have a table to promote their interests-one organisation per month!